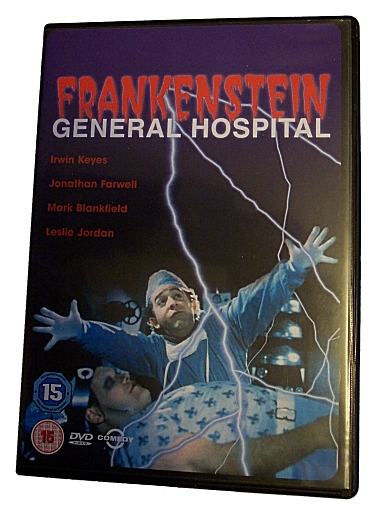 At a whacked-out hospital, the great, great grandson of Baron Victor Frankenstein works under an assumed name. In addition to his daily duties, the doctor works in a secret laboratory, attempting to duplicate his famous ancestor's life creating experiment. He is able to bring his creature to life, and his first female contact is with Dr. Alice Singleton - and it's love at first sight. But Alice is already dating another man. Crushed, the creature vows to go into the world on his own, and Frankenstein vows to create another life form. 15 Suitable only for persons of 15 years and over.